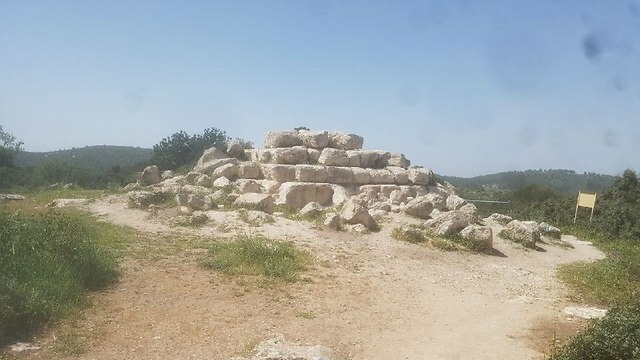 YNET – Archaeologists are beginning to study and excavate an ancient Jewish pyramid believed to be related to a burial structure near Hirbet Madras; pyramid is believed to be a vestige of Hellenistic influence in the area. On a hilltop near Hirbet Madras in the Adullam Grove Nature Reserve lies an ancient Jewish pyramid. The rare pyramid is built of huge ashlar stones that were hewn in the vicinity. In ancient times it was easy to see the unique structure proudly overlooking the area from the top of the hill and today, the remains of the pyramid are hidden in vegetation. Archeologist Dr. Orit Peleg-Barkat of Hebrew University is studying the pyramid and describes the structure’s size as rare and monumental. While ancient peoples all over the world have built pyramids, what is the connection to Jews? According to archaeologist and Prof. Boaz Zissu of Bar-Ilan University, after the establishment of the empire of Alexander the Great, which conquered and unified the region geographically and culturally, Second Temple era Jews were influenced by the dominant Hellenistic culture. “Ancient Egyptian culture had an influence on the Hellenistic culture that ruled the Land of Israel, and Hellenistic culture in turn influenced the Jews living in its territory. 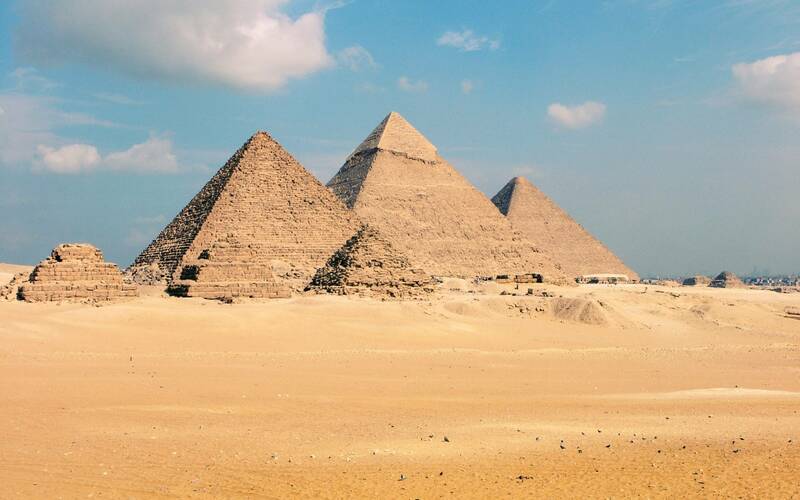 The pyramid was built on the border between Jewish communities and Edomite communities and it is assumed that the Jews took the geometry of the pyramid rather than the religious ideas,” said Prof. Zissu. In ancient Jewish sources, the monument above the burial cave is called “Nefesh,” and it symbolizes the location of the cave. In Israel, there are other pyramids such as those in the Jerusalem area like the Tomb of Zechariah in the Kidron Valley. Despite the hypothesis that the structure is indeed a burial complex, Dr. Peleg-Barkat notes that the chances of the underground caves being excavated are low. This is due to an incident in the 1970s in which Ultra-Orthodox protestors destroyed findings they deemed “desecration of graves” of a previous Jewish burial ground. This entry was posted on 04/17/2017, 9:34 and is filed under Uncategorized. You can follow any responses to this entry through RSS 2.0. You can skip to the end and leave a response. Pinging is currently not allowed. LOL! Yawn….What’s taking the jews so long to charge admission to have a look? I think that’s all of them? The Egyptian pyramids are anti Semetic. So the Jew will now claim part of Egypt? They did it in the Sinai. In the Bible, in spite of 800 mentions of “Egypt” there is not ONE mention of Pyramids–how did they miss that, if they were ever even there?